ทางตอนเหนือของเมืองมีลำน้ำที่ใช้ในการคมนาคมรอบ ๆ ได้ ทำให้บรูชเป็นที่รู้จักกันในชื่อ "เวนิสเหนือ"
↑ Statistics Belgium; Population de droit par commune au 1 janvier 2008 (excel-file) Population of all municipalities in Belgium, as of 1 January 2008. Retrieved on 2008-10-19. ↑ Statistics Belgium; De Belgische Stadsgewesten 2001 (pdf-file) Definitions of metropolitan areas in Belgium. The metropolitan area of Bruges is divided into three levels. 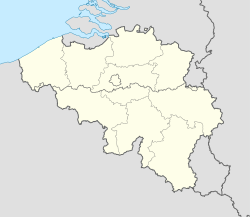 First, the central agglomeration (agglomeratie), which in this case is Bruges municipality, with 117,073 inhabitants (2008-01-01). Adding the closest surroundings (banlieue) gives a total of 166,502. And, including the outer commuter zone (forensenwoonzone) the population is 255,844. Retrieved on 2008-10-19. หน้านี้แก้ไขล่าสุดเมื่อวันที่ 1 มีนาคม 2557 เวลา 01:09 น.